"“ We feel really lucky and blessed to have an American "dad" like Jim. 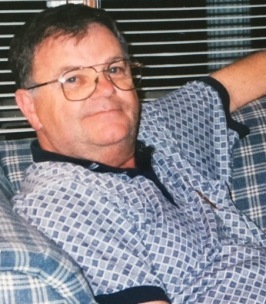 He was a true example in our lives, he inspired us with his wisdom..."
Jimmy "Jim" Lee Toombs, 77 of Cookeville, Tennessee passed from this life on Wednesday, October 24, 2018, at Signature Health Care of Putnam County in Algood, Tennessee. Jim was born Tuesday, April 1, 1941 in Anderson, Indiana, he was the son of the late Perry Edward and Irene (Kellow) Toombs. Jim loved his family and was often times found telling jokes. He was a fun person to be around. Celebration of Life for Jim Toombs will be held Saturday, October 27, 2018 at 2:00 pm from the chapel of Collegeside Church of Christ with Bro. Joe Roberts and Lance Reynolds officiating. The family will receive friends from 12:00 PM until 2:00 PM. In lieu of flowers, the family asks that donations be made to the: Church of Christ Disaster Relief Fund: 410 Allied Dr, Nashville, Tennessee 37211. To send flowers to the family of Jim Lee Toombs, please visit our Heartfelt Sympathies Store. We encourage you to share any memorable photos or stories about Jim. All tributes placed on and purchased through this memorial website will remain on in perpetuity for future generations. Sorry to hear about Jim's passing. My condolences to Marsha and family. I am so sorry to hear about Jerry's brother. We have moved back to Anderson and I saw the notice in the paper. I think about you and the kids from time to time and hope all is well. Your mom used to keep me informed about you. I still miss that woman. Love to you both. What a pleasure it was to care for Jim. He was always encouraging and a gentle spirit. His faith in the Lord was evident. May you and your family feel the Lord’s presence as you grieve, Marsha. Jim was one of the best bosses I had at Guide. I enjoyed his friendship. We are sorry for his passing. Jim taught me to drive a fork truck when I was at Guide. He was my forman for a while. His wife was a classmate of mine at AHS class of 1963. Jim was a good man and a fun person to talk to. So sorry for the loss. Thoughts and prayers are with the family.